is the strategy of the plants that are able to maintain tissue water potential as long (and as high) as possible under drought conditions. is the strategy of the plants that are able to cope with severe tissue dehydration. 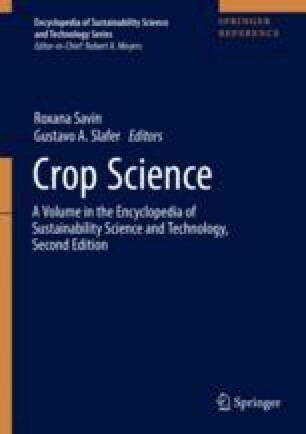 is the biomass of the harvested product expressed as a percentage of the total crop biomass. is the energy-storing carbohydrates produced by photosynthesis in the green tissues of the plants. is the carbon gain (or biomass formed) per unit of water transpired or the ratio between photosynthesis (A) and stomatal conductance (gs), termed as intrinsic WUE.